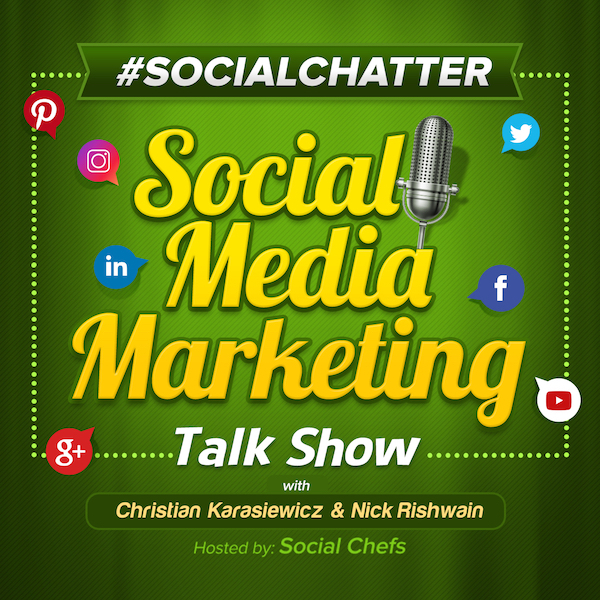 On this week's episode of Social Chatter, your weekly social media marketing talk show, we explore Facebook Stories School, Pinterest carousel ads, sharing IGTV videos to Instagram Stories, AirStory and more with Christian Karasiewicz, Phil Gerbyshak and guest, Jeff Howell. In Facebook news, they have launched Facebook Stories School, to help advertisers better understand how to create Facebook ads for the vertical video format. Facebook wants Facebook Stories to be a success. One way to do that is to help advertisers. While advertising to the News Feed is fairly easy, doing so to Facebook Stories, a new format, can be challenging to adapt to. With Facebook Stories School, clients will get access to educational sessions as marketers and agencies. As Stories evolves, the need to learn how to properly create them will become even more important for business owners. This way you can reach the right customers wherever they're at on Facebook using the right advertising vehicle. To take advantage of Facebook Stories School, right now, you may want to reach out to your Facebook Ads Manager representative to see if it is available to you. You can read more about Facebook Stories School click here. In Pinterest news, they are rolling out promoted carousel ads. Here is a preview of promoted carousel ads. With Pinterest promoted carousel ads, you can use up to 5 images in one Pinterest ad to tell a great story. They're currently working with Toyota, Away, Cheerios, REI, DSW, COVERGIRL among others. One thing that is very important about Pinterest promoted carousel ads is that each image can have its own title, information and landing page. This makes it easy for you to showcase different products within your carousel ads and take customers directly to the right product in your store. To use Pinterest promoted carousel ads, look for them when your business is running Pinterest ads for the brand awareness and traffic and conversions objectives. You can read more about Pinterest promoted carousel ads here. In Twitter news, they are expanding Twitter reports to include spam tweets and accounts. Twitter will now let you specify the type of spam you're seeing when you report it (this also includes fake accounts). Activity that attempts to manipulate or disrupt Twitter's service is not allowed. We remove this when we see it. As a business, this should be useful because you can now identify tweets from bots or fake accounts. The same goes for tweets with suspicious links. By expanding the Twitter reporting options, this should help clean-up Twitter and remove a number of fake accounts and tweets which could confuse users. To read more about Twitter reporting options, click here. In Instagram news, you can now share IGTV videos in Stories. Are you looking to gain more exposure for your IGTV channel on Instagram? One way you can do this is by sharing your videos from IGTV to Instagram Stories. To do this, tap the paper airplane at the bottom of an IGTV video and then select the "+ your story" link to add it to your Stories. Here is a short video from Instagram showing you how to share IGTV videos to your Stories. The first tool that we have discovered this week is AirStory (web). AirStory is a tool to help you collect data an other online information to use in Google docs, blog posts, Facebook Ad copy and more. It works with WordPress, Microsoft Office, MailChimp, Gmail, ConvertKit, Google Docs and many more. Simply connect AirStory to your favorite apps and speed up the content creation process for your business. You'll no longer need to keep information in multiple places. 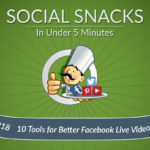 Instead, it can all go into AirStory and help you get more content created in less time. Here is a look at AirStory. You can use AirStory for free. If you need standard integrations, plans start at under $7 per month per user. You can try AirStory using the following link. The second tool that we have for you this week is Awario (web). Awario can help your business find conversations on Facebook, Twitter, Instagram, YouTube, blogs and other online properties. With Awario, keep an eye on your online brand mentions across social media (Facebook, Instagram, Twitter, YouTube), as well as blogs and other web properties in real-time. This way you don't miss an opportunity to connect with customers or add new ones. You can try Awario for free. Prices for Awario then start at $29 per month.